Materials Production offers quick copy and printing services as well as editing, graphic design, web design, large poster and banner production, and commercial-quality printing. 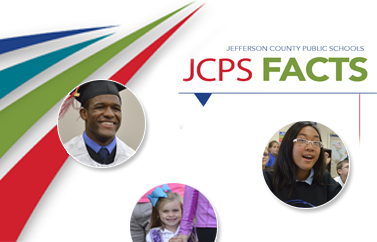 Because we are a department within JCPS, customers only pay to cover the cost of materials. For services like graphic design, web design, and editing, there is no charge. Having projects produced in-house provides the added benefit of working with a staff who understands your needs and supports the vision of the district. Projects can be emailed, faxed, or delivered directly to our office. Upon completion, we will Pony the finished product to you or you may pick it up. The services and materials we provide include ads, banners, booklets, bookmarks, brochures, business cards, certificates, covers, curriculum guides, door-hanger cards, envelopes, fliers, folders, forms, handbooks, invitations, letterhead, logo and mascot design, magnets, maps, newsletters, note cards, postcards, posters, programs, stickers, T-shirt design, and Web design. To guarantee that graphic design projects can be started when you want, call (502) 485-3302 to reserve production time. When you arrive at the building, take the drive to the right (next to the Kentucky Exposition Center fence). Go through the gate, and proceed to the parking areas next to the steps on the left.